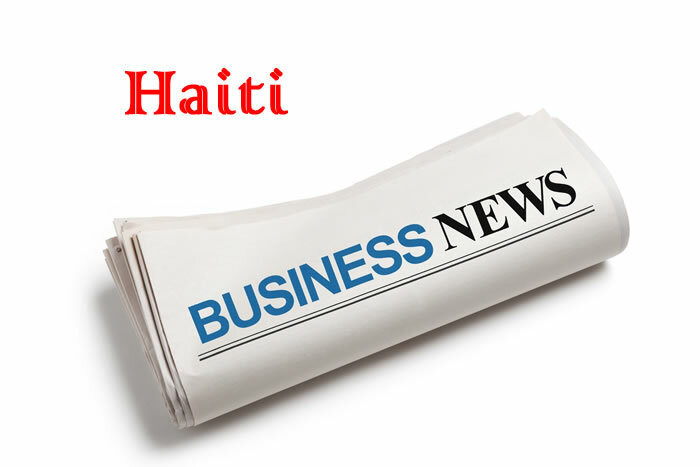 This is related to the business and financial issues related to Haiti and the Haitan community. We discuss issues such as job opportunities, how to create a business in Haiti, how to finance a project, and more. Haitian citizen Roger Richard Boncy was charged with one count of conspiracy for violating the Foreign Corrupt Practices Act and the Travel Act. Roger Richard Boncy holds dual U.S. and Haitian citizenship and is currently residing in Madrid. According to Miami Herald, he has been charged in a scheme to bribe Haitian government officials over the construction of an $84 million port in Mȏle St. Nicolas. The project consisted of construction of multiple cement factories, shipping-vessel recycling station, international transshipment station with numerous slips for shipping vessels, a power plant, a petroleum depot and tourist facilities. Four years ago, the SLS South Beach Hotel in Miami was hit with a lawsuit by the Equal Employment Opportunity Commission for alleged discrimination against their Haitian workers. 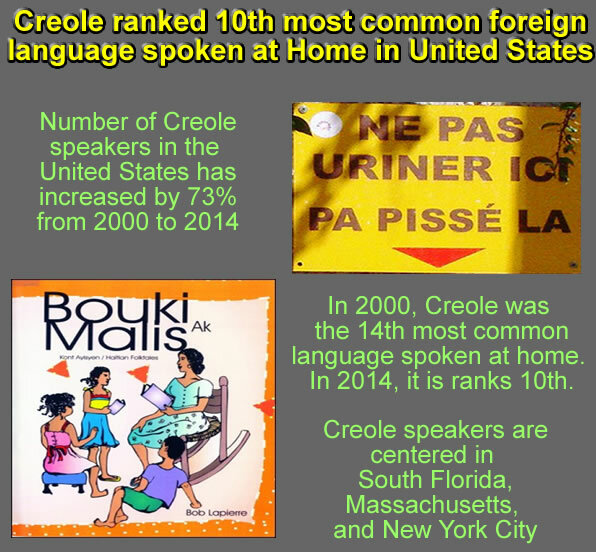 Seventeen Haitian dishwashers employed there were forbidden from speaking Haitian Creole. The Haitian workers were also asked to drag heavy items up the the 13th floor of the hotel by stairs. For the Hispanic workers, not only they were free to chat Spanish, they also did not have to carry any heavy items anywhere. Miami Bayside Foundation presents Small business training at no charge. Sharpen your entrepreneurial skills while learning how to prepare to acess capitals. Attend a minimum of 8 out of 10 classes to receive a Certificate of Completion. On Monday, May 24, 2017, Pim van Ballekom, the Vice-President of the European Investment Bank (EIB) along with a team of delegation, visited the EIB-funded hospital in Tabarre during a tour aiming the exploration of project opportunities in Haiti. After the 2010 earthquake, EIB provided a grant of €600,000 (HTG 45 million) to build this modular trauma surgery hospital run by Médecins Sans Frontières in Tabarre. The staff of EIB also donated €51,357 for this hospital. In Haiti, EIB has granted a total of €16 million (HTG 1.2 billion) support to SME projects (small and medium-sized enterprises). On his first visit to the country, Vice President Pim van Ballekom and his team discussed funding opportunities with the Haitian authorities, including Haiti President Jovenel Moïse, Central Bank Governor Jean Baden Dubois, and ministers of the government with the objective of granting loans for future projects. SONAPI is the acronym for eSociété Nationale des Parcs Industrielsf (National Society of Industrial Parks), a semi-governmental agency that supports the largest number of jobs in the manufacturing sector in Haiti. Caracol Industrial Park (PIC) and Metropolitan Industrial Park are the properties of SONAPI which is an industrial and commercial autonomous body under public law responsible to implement, promote, organize and manage Industrial Parks in the Republic of Haiti. SONAPI was once a pride project of Haiti, opened in September 2012, with the objective of maintaining a constant initiative to boost the employment conditions in Haiti and create 60,000 jobs by 2016. However, since December 2013, news of wage differences started to come out, the brutal exploitation of workers in SONAPI have always remained in the news. There are many good news for the Haitian sorghum producers. Two companies, the Multilateral Investment Fund (MIF), a member of the Inter-American Development Bank (IDB) and Papyrus, a project management firm with experience in agribusiness have come forward to their assistance. MIF has recently approved $2.4 million grant to help the small-scale sorghum farmers under a 4-year project named "Smallholder Alliance for Sorghum in Haiti (SMASH)" which would be implemented under supervision of 'Papyrus'. The objective of the project is to enhance the skills for about the 18,000 sorghum farmers in five Haitian departments (North and North East, West, South, Artibonite, and Plateau Central) and support their marketability. SMASH also addresses issues like poor soil quality and efficient harvest yields. 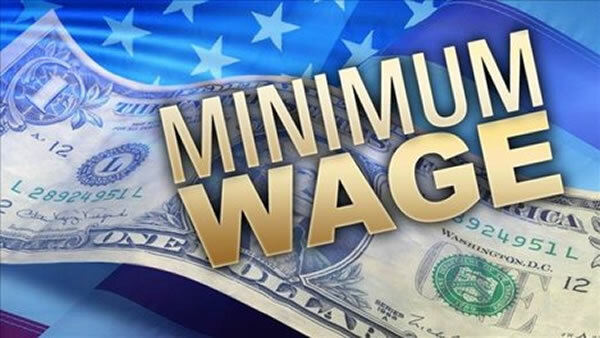 The Decree to increase the minimum wage finally issued by President Jocelerme Privert. Effective May 1, 2016, An employee who works an eight-hour working day for the highest sector will receive a minimum salary of 375 gourdes ($6.05). Previously, it was 240 gourdes ($3.87). The salaries for workers in different sectors such as the industrial, private and service sectors will receive varying increases. This Decreed was issued following pressure from various workers demanding an increase in the minimum wage to deal with high inflation. 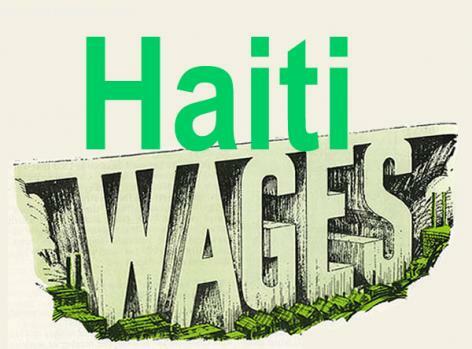 Few weeks ago, hundreds of protesters marched through the streets of Port-au-Prince, demanding an increase of 500 gourdes in the minimum wage. In addition, an ongoing strike by various State hospitals has left the population without any access to health care. In an effort to calm the recent street protests about the minimum salary, the government of Jocelerme Privert has announced that a new Decree will be issued today (May 19, 2016). o increase the minimum salary of the employees in Haiti. As a result, the Supreme Council of Salaries has reacted favorably to the announcement. On his part, Prime minister Enex Jean-Charles continues to invite all sectors of the population to work together, stating that only peace and political stability can help the country to find the path of economic development.